New Low Power, Wide Area Network Targets Industrial and Consumer IoT Applications. Deal Provides Warrant for Comcast to Acquire Up to $30 million of Semtech Common Stock. Semtech Updates Its Q3FY17 GAAP Guidance As a Result of Warrant. 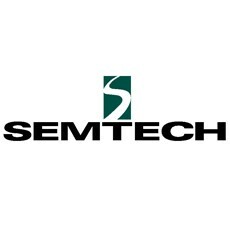 Semtech Corporation announced that it has entered into an agreement with Comcast regarding the intended trial deployment by Comcast of a low-power wide-area network (LPWAN) in the United States, based on Semtech LoRa® Wireless Radio Frequency Technology. The LoRaWAN™-based network trial deployment is expected to commence in the calendar fourth quarter of 2016 in Philadelphia and San Francisco, and target “smart” enterprise, government and consumer Internet of Things (IoT) applications such as metering, asset tracking, building and public venue management, security, food safety, vending, and waste management. Upon successful completion of the trials, the network could be expanded to up to 30 U.S. cities within a period of 30 months. 10% will vest on the Warrant issue date. 10% will vest once at least 50% of the population of two target cities have LoRaWAN coverage. 26% will vest once at least 50% of the population of 10 target cities have LoRaWAN coverage. 27% will vest once at least 50% of the population of 20 target cities have LoRaWAN coverage. 27% will vest once at least 50% of the population of 30 target cities have LoRaWAN coverage. Source: globenewswire.com. More details here.